AFP-WI to Senator Baldwin: Confirm Judge Kavanaugh! 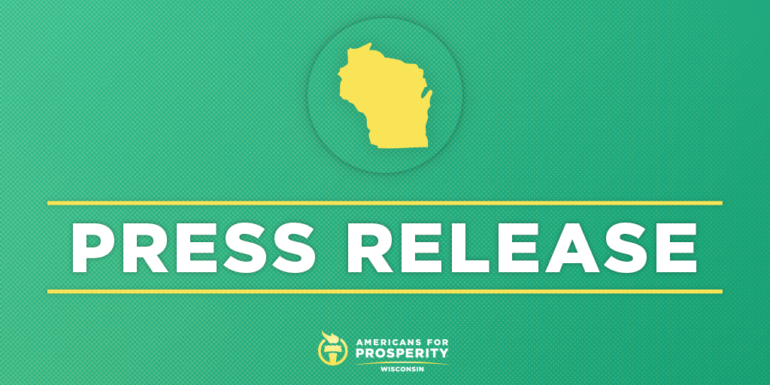 MADISON, WI – Americans for Prosperity-Wisconsin (AFP-WI) today applauded President Trump’s nomination of Judge Brett Kavanaugh to replace Associate Justice Anthony Kennedy on the United States Supreme Court. AFP announced it will commit its full resources and permanent grassroots infrastructure to urging U.S. Senators, including Wisconsin’s Tammy Baldwin, to confirm Judge Kavanaugh swiftly. Brett Kavanaugh, a graduate of Yale Law School and former clerk to Justice Kennedy, received bipartisan support in 2006 for his confirmation to the U.S. Court of Appeals for the District of Columbia Circuit. During his 12 years on the federal bench, Kavanaugh has demonstrated a commitment to the rule of law and is widely respected for his principled approach to interpreting the Constitution as written. Americans for Prosperity will commit seven-figures to a national campaign of paid advertising and grassroots engagement in support of Judge Kavanaugh’s confirmation. Door and phone scripts have already been deployed to Wisconsin and the first round of mail and door hangers will be deployed in the coming weeks. Later this month, AFP will be hosting events, tele-townhalls, and Facebook live conversations with key lawmakers about the proper role of the courts and the importance of confirming judges who interpret the law as written. AFP will also deploy similar grassroots efforts in West Virginia, North Dakota, Indiana, Florida, Missouri, Pennsylvania, Montana, Ohio, and Michigan.